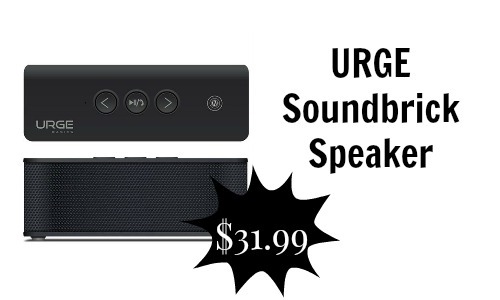 Tanga has the URGE Soundbrick Bluetooth Speaker for $26.99. The URGE Soundbrick usually costs $79.95 but you get it for more than half off. The URGE Soundbrick enables you to play music from your smartphone or tablet wherever you are in the house. This speaker comes in six different colors and can run for 8 hours on a single charge. Even with $4.99 standard shipping (makes the cost $31.99), this deal is still better than Amazon’s price ($34.99). This deal lasts as long as supply lasts.